Indiana State University will recognize five graduating seniors for scholarship, leadership and service during winter commencement ceremonies Dec. 15. Alyssa Doyle of Chalmers, Elizabeth Gentry of Hartford City, Janelle R. Huber of Brazil and Tammy Riker of Washington received the Hines Medal. Named for Linnaeus Hines, who served as Indiana State's fourth president from 1921 to 1933, the Hines Medal goes to students with the highest cumulative grade point average during the pursuit of a bachelor's degree. Annie Vassar of Lowell received the President's Medal for Leadership, Scholarship and Service. Doyle is graduating with a degree in elementary education and a minor in reading and early childhood education. Doyle played outfield for the Sycamore softball team and served as an assistant at the university's Early Childhood Education Center. She earned an Indiana Top Scholar award, the Catherine Polson Education Scholarship, a National Fastpitch Coaches Association Scholar-Athlete designation, Missouri Valley Conference Honor Roll designation and the conference's President's Council Excellence Award. She also earned a nomination for Presidential Scholar-Athlete of the Year. Her community activities included Ryves Youth Center at Etling Hall, Light House Mission, community softball clinics and Special Olympics Indiana. Doyle is the daughter of Linda Doyle and Don Doyle and a graduate of Frontier High School. 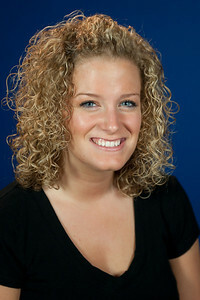 After graduation from Indiana State, she plans to obtain an elementary school teaching position. 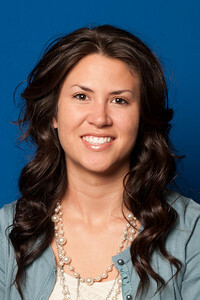 Gentry majored in social studies education with concentrations in history, economics and psychology. An Indiana State Scholar, she also earned the Girls State, Blackford Foundation, Blackford Masonic Lodge No. 106, Jackson Masonic Lodge No. 146, Masonic Grand Lodge of Indiana and Raymond J. Reece and Frances R. Kepner scholarships. She exhibited her photograph "Under the Boardwalk" in the University Honors Art Gallery and her photograph Agnus Dei" in "After Images." 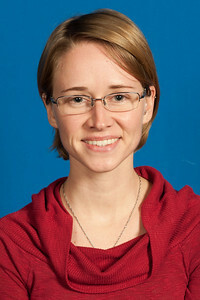 Gentry's campus involvement included Baptist Collegiate Ministry, which she served as a member and substitute coordinator, small group leader, leadership council member, secretary treasurer and on the conversational English international outreach program. She also served as a supplemental instructor for economics and was a member of the Alpha Lambda Delta honors society. Her activities included Southside Church of the Nazarene and service as Nazarene Youth International president. Gentry is the daughter of Linda Wallace and Tim Wallace. She is a graduate of Blackford High School. Following graduation from Indiana State, she intends to teach for a period of time before beginning service as a missionary in South America. Huber will graduate with a degree in music education with an instrumental music concentration. A member of the University Honors Program at Indiana State, a Sycamore Scholar and an Academic Honors Scholar, she also received the Theodore Presser Scholarship, won in the Paul W. Hagan Concerto Competition, received the Barbara Booe Bushong Flute and Piccolo Award and is a member of Pi Kappa Lambda, the national music honor society. Her campus involvement included the Symphony Orchestra, in which she performed and conducted, Wind Orchestra, Flute Choir, Marching Sycamores and Terminal Velocity (Woodwind Quintet). Her community activities included the Brazil Concert Band; Terre Haute Symphony Orchestra; and Jackson Township Community Band. Huber is the daughter of Melanie Huber and Matthew Huber. She is a graduate of Greencastle High School. She intends to enroll in graduate school in the United Kingdom to earn a master's degree in wind conducting with the goal of teaching music in a public school environment. Riker is graduating with a degree in music education, concentrating in general and instrumental music. 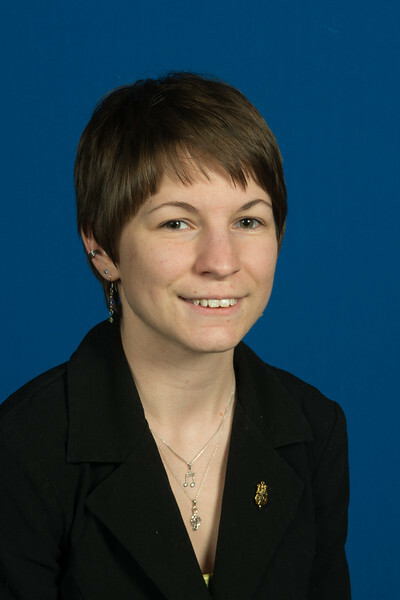 Her awards at Indiana State include Pi Kappa Lambda Outstanding Senior, Paul W. Hagan Concerto Competition Winner, Creative and Performing Arts Award, Barbara Booe Booshong Flute and Piccolo Award, Ruth Zenor and Helen Zenor Brez Scholarship, and Paige's Music Paul-Edmund Daviess Masterclass Winner. Her campus involvement included the Wind Orchestra, Symphony Orchestra, Marching Sycamores, Flute Choir, University Honors Program, Sigma Alpha Lambda, music history tutor; National Association for Music Education; and flute and woodwind instructor for Crossroads of America Youth Orchestra. Her community activities include serving as a flute instructor and as a member of the Brazil Concert Band and Terre Haute Symphony. Riker is the daughter of Teresa Cook of Montgomery and Bruce Riker of Otwell. She attended Washington High School. Following her Indiana State graduation, she intends to enroll in graduate school to earn master's and doctoral degrees in order to teach flute at the collegiate level and continue with her performance career. Vassar is completing a degree in physical education - all grade - with concentrations in physical and health education, and a minor in dance. 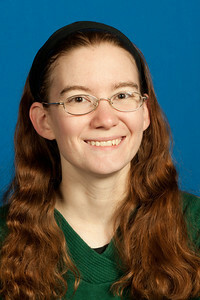 While at Indiana State, she received the Creative and Performing Arts Scholarship; Eleanor Forsythe St. John Scholarship; Outstanding Senior Award - Alpha Omicron Pi; Catherine Wolfe Indiana Alliance for Health, Physical Education, Recreation and Dance Scholarship; Dr. Kent L. Gardner Scholarship (Order of Omega); and the Norma F. Schuessler Scholarship. She was also named Fitness Instructor of the Year, received the J. D. Miller Distinguished Service Award and was named a Sigma Chi Sweetheart. She served as president of the Organization for Students in Physical Education, choreographer of Fusion Dance Company, morale chair for the Riley Children's Hospital Dance Marathon, new member educator of Alpha Omicron Pi fraternity, president of the Order of Omega, Sycamore Leadership Coalition and Student Government Association. Her community activities included the Indiana Alliance for Health, Physical Education, Recreation, and Dance; YMCA ballet instructor; highway cleanup volunteer; Special Olympics Indiana; Relay for Life; Terre Haute Community Health; Austin Walk; and Jump Rope for Heart. Vassar's parents are Mary Vassar and Tim Vasser. She attended Lowell Senior High School. Following graduation from Indiana State, she intends to teach health and physical education in northwest Indiana and pursue a graduate degree in education. She also intends to continue her volunteer work for and support of non-profit organizations. Alyssa Doyle of Chalmers, Elizabeth Gentry of Hartford City, Janelle R. Huber of Brazil and Tammy Riker of Washington received the Hines Medal. Annie Vassar of Lowell received the President's Medal for Leadership, Scholarship and Service.